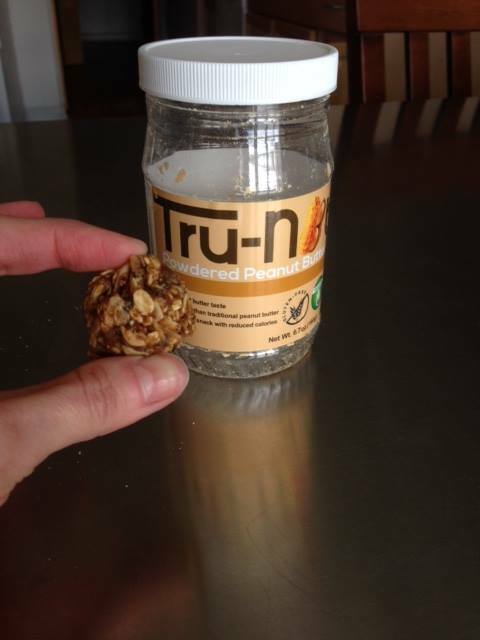 Protein-packed peanut balls whack you with taste and protein! Mix all ingredients together and let sit for 30 minutes. Roll into balls (size of your choosing) and refrigerate in wax paper. Should be eaten within a week.